The global leading search engine, Google Inc. has reportedly filed a patent for a smart lens system equipped with a camera, thus able to reduce the size of the previous technology called Google Glass. Through smart contact lenses, users only need to use 'a sophisticated system that uses a flicker pattern.' Based on a review of the company, Patent Bolt is different from Google Gadgets Glass that requires one to wear smart glasses in order to use their voices to get information from a website or taking pictures. 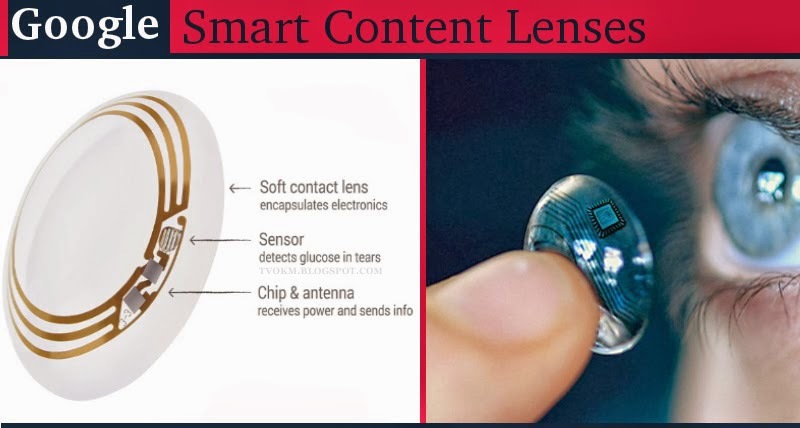 News that Google filed a patent of the smart lens came after the company introduced a prototype contact lens that could control the level of glucose in the body. The invention produced by the Google X Labs could provide a large contribution to the millions of people with diabetes that need to measure their blood sugar levels by removing some of the blood from their fingers. The smart lens technology can help the blind to 'see' some objects. For example, blind people who wear the smart contact lenses with a built-in camera can walk on sidewalks near intersections. An analysis component of the contact lenses can process image data from the camera to determine if there is a car approaching the intersection. In addition, the smart lens wearers will look different from the people who wear Google Glass.